As a coffee addict, this is welcome news. A variety of epidemiological studies show coffee having cardio benefits, lowerings some cancer risks, as well as the risk of adult onset diabetes, Alzheimers, and all cause mortality. As usual, the next question is why? For one, coffee is brimming with antioxidants, though whether this is causing the benefit is uncertain. Supplementing with antioxidants has a checkered past, so this may or may not be a benefit from those in coffee. You can read about this checkered past here and here. The caffeine is definitely crucial. Drink decaf? Sorry, no benefit. Coffee in the evening may disrupt sleep. It’s acidic, so could cause acid stomach, especially that first cup . Roasting at high temperature may be dangerous. Day 3 – Even Less. Day 4 – Withdrawal is over. If you are still sleepy and grumpy, that’s your natural state. Try more sleep. As usual, “moderation” is important, and moderation—when it comes to coffee—appears to be up to five cups. Good news for us Java heads. They mean real 8 oz. cups, not coffee mugs. But the benefits are quite a surprise. 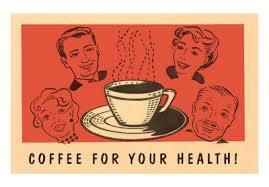 Did anyone ever think of coffee as a health food? Somehow the conventional wisdom was: “tea good, coffee bad.“ So much for conventional wisdom. Here’s what the studies are turning up. Now bear in mind that most of these are association studies, it could very well (and frequently does) happen that something else is doing the heavy lifting, and that the item being studied was just carried along for the ride. Correlation does not prove causality. Better mental acuity. We all know this, but tests pretty well confirm it. Several studies have shown reductions in all cause mortality for coffee drinkers. This one found an astounding 57% reduction over non-coffee drinkers. Liver cancer. The Liver appears to love coffee. 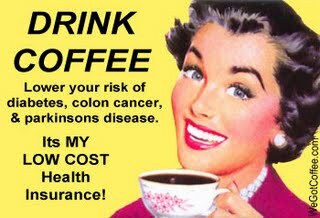 A 40% lower rate of liver cancer for coffee drinkers is reported here. Alzheimer’s. This study found a 25% lower risk for Alzheimer’s.. Adult onset diabetes risk is lowered. One study showed a 25% reduction in cardiac death, and 20% reduction in all cause mortality for people drinking four or more cups per day. Another study showed a 50% lower diabetes risk. Burn fat and pump more iron at the gym. Coffee seems to help for both. Let’s not forget those antioxidants. Either they are helping, or the benefit from everything else exceeds the harm they are doing. Deep Pharmaceutical Discussion. Statins do not reduce all cause mortality for any group, yet millions take these. This is not an isolated case. Other widely prescribed drugs show no net good, and often harm. The system is clearly broken. 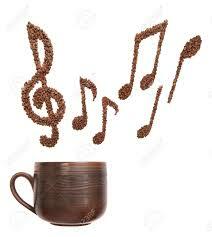 Let’s suppose coffee did not exist, but some big pharmaceutical had just managed to synthesize.it Just think of it. A new wonder drug: diabetes down 50%, all cause mortality reduced 50%. Liver cancer reduced 40%, and as to side effects, it helps your mental and physical performance. Can you imagine the ad campaign that would result with such a wonder drug? Given that AstraZenca ponied up over a billion dollars to launch a questionable statin, you can probably guess there would be a pretty high advertising budget. Does ‘standard medicine’ advocate guzzling coffee? Well Mayo Clinic, after half a page of caveats, says it’s not harmful. What spot-on medical advice! Oh, and for you tea drinkers: Tea is healthy too. We’ll get to you in another post. PS For an interesting anecdote go here. Thankyou. Very reassuring. But first thing in the morning is tea, of course! Thankyou for the music too. Plenty of great reasons to keep coffee on the menu… in moderation of course. Oops, missed on one point in your Post, that “roasting at high temperature may be dangerous”. What temperature do you consider high? 200 Degrees high? Higher? As you possibly know, manufacturers don’t give info about temperature on their packaging. So, it’s either ‘calculated’ guess, or search for supplier, who would specify their coffee beans roasting temperature. To brew espresso coffee, ideally I need dark brown beans (but NOT black), and for cafetiere – medium dark brown beans (acidity for both would be medium to low, but this is because the beans are roasted at higher temperature). Coming back to the same question: What roasting temperature do you consider as ‘safe’ and NOT dangerous? Even some guidance would be much appreciated.